Whether business or leisure fashion: Boss is a trend-setter. 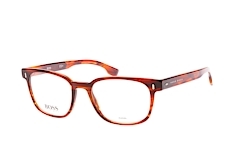 And even though the label became famous as a men's outfitter, a women's collection has long been part of the range. 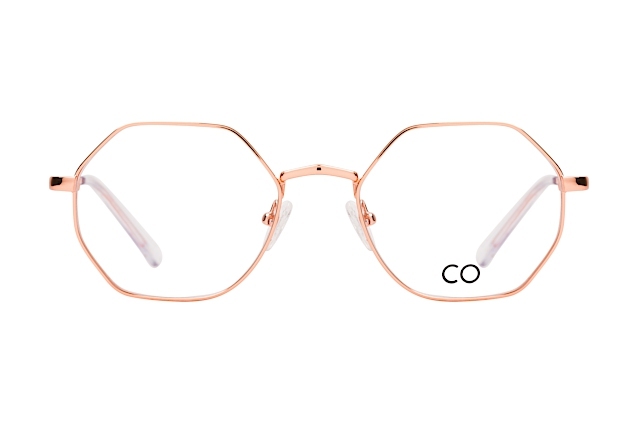 The company has remained true to its typical style: the focus is on wearable and everyday designs and the rejection of too daring fashion experiments. 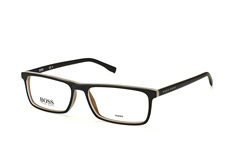 Modern lines and the mix of cool, neutral shades and individual trendy colour accents guarantee a contemporary aura. 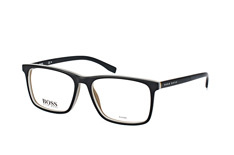 Boss glasses are equally uncomplicated and stylish at the same time: they are the perfect companions for everyday life and any occasion - whether in the office, on the golf course or at a meeting in a restaurant. In addition to men's frames, the range includes many unisex shapes as well as some women's models. The men's collection is dominated by rectangular Boss frames. With good reason: they make facial features appear a bit more masculine - and are therefore extremely popular. 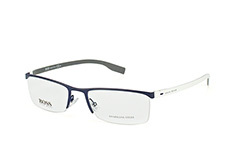 You can choose from a wide range of different models, from striking to minimalist ones. 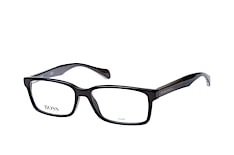 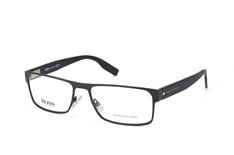 Typical representatives of the first category are black plastic frames with trapezoidal lenses. 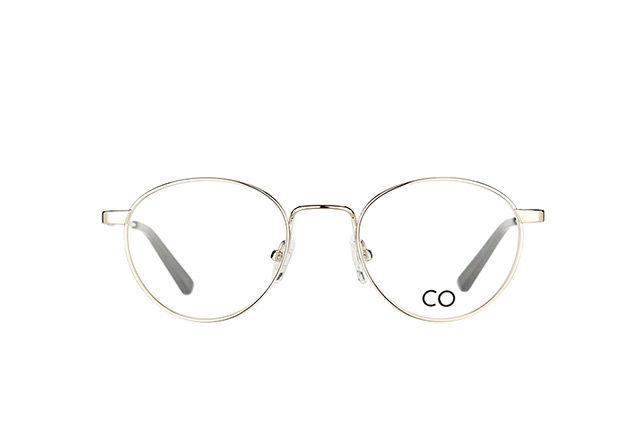 These elegant descendants of the former "nerd glasses" fascinate with their intellectual charisma and a subtle retro flair. The Boss glasses made of titanium have an equally appealing but completely contrasting character: the high-tech material makes the rectangular shape appear extremely light and dynamic. 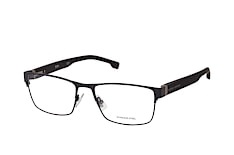 Athletes also appreciate the material's light weight and great stability. If you prefer to wear "as little of a pair of glasses as possible", it is worth taking a look at the half-rim frames and rimless glasses from Boss. Half-rim glasses are inherently well suited for a sporty look. 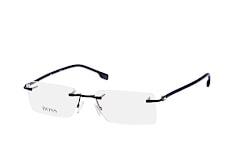 The designers skillfully exploit their potential, for example by combining a delicate frame made of black metal with contrasting white plastic temples. The completely rimless angular Boss glasses are particularly suitable for a business environment: here, they glisten as minimalist classics that refrain from taking centre stage. What the trapezoidal shape does for rectangular glasses is achieved by the panto shape with round models: this absolute classic never goes out of fashion. 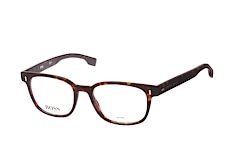 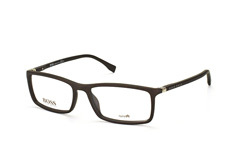 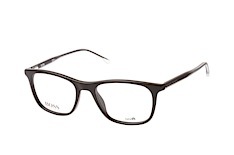 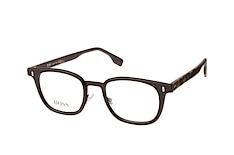 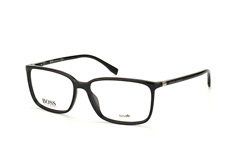 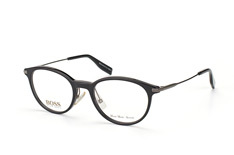 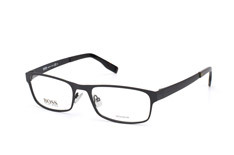 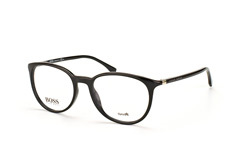 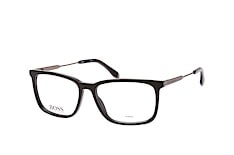 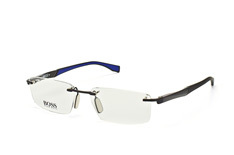 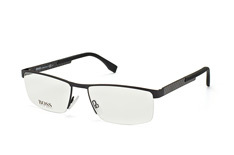 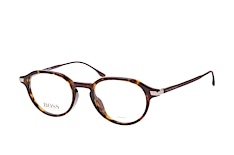 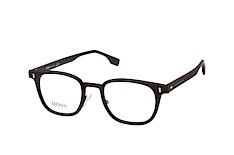 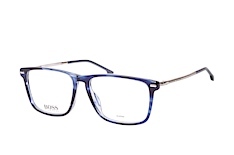 Boss panto-style frames, for example, are particularly suitable for men with square facial features. In this case, the soft curves of the frame have a pleasantly balancing effect. 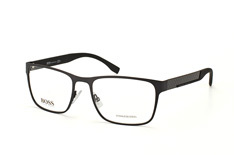 The fact that its striking appearance is not neglected, is proven by the deliberately large Boss glasses designed in panto-style for men: black plastic or acetate in elegant horn style make a clear statement. The unisex and women's versions are also real eye-catchers. 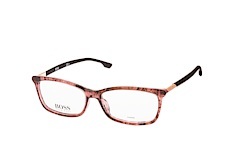 The latter highlight the female facial features and have a distinctly feminine look thanks to lighter frames. You can try on your favourite models at home without any obligation: we will send you up to four pairs for up to ten days on request. Additionally, our pricing is extraordinary: because quality glasses with high-quality features such as super anti-reflection, etc. 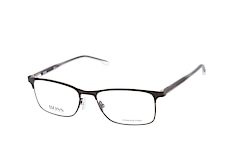 are included, you ultimately save up to 50 percent. By the way: the qualified team in our very own master workshop cuts the glasses to fit the frames. 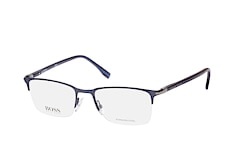 Free P&P on all glasses and a 30-day returns policy complete the convenient and safe shopping experience.